"Connecting with Your Higher Self – Part 1"
"2012 Politics Radio Show: Part 2 of 2!" "2012 Politics Radio Show: Part 1 of 2!" "There Is Only One of Us Here – Part 2"
"There Is Only One of Us Here – Part 1"
On David Wilcock’s online store, http://www.divinecosmos.com/store/ there is a voluminous amount of original material available for purchase, including various lectures and readings, some of which include musical accompaniment. These all come in the form of downloadable .mp3 files that must be played on a computer or on a compatible mp3 player, such as an iPod. David has also began in earnest posting several free audio recordings in 2008 that he has referred to as "audio blogs." These recordings usually are timely in scope and cover current events or are presented in the form of a psychic reading. – March 28, 2012 | Time - 2 hr. 56:04 mins. A man who goes by the name of "Drake" (not his real name), apparently a former member of the US military who served in Vietnam and has now become a whistleblower aligned with leadership within the US Pentagon. During thias lengthy interview, David Wilcock stresses that he has vetted out this whistleblower with other top insider contacts and validated his information completely. David and Drake discuss the world-wide effort to implement mass arrests of NWO cabal members in one fell swoop. They also cover a wide-range of topics that have been rumored to be in the planning stages for at least the past ten years regarding the removal of corrupt government, media and corporate leaders through constitutionally lawful means. The ultimate objective of this interview was to allay any fears that when these actions are ultimately instituted by the combination of law enforcement backed by the military, they will not signal some kind of Martial Law scenario. But rather will see the US military finally returning the country back to a constitutional form of government. Or as Drake terms it, "a sovereign nation state." Particularly interesting was the final hour of the interview where the two discuss some of the suppressed technologies that will be emerging in the very near future, as well as the dimensional shift about to occur. The complete audio interview can also be found in a plethora of YouTube videos that clock in at nearly three hours! Also see "DIVINE INTERVENTION: Section I -- Defeating Financial Tyranny"
A rather long interview though very fascinating and exciting! – December 2, 2011 | Time - 1 hr. 42:37 mins. What a fire storm of events this interview set off! Coming as part of a new posting to the DivineCosmos web site entitled, "CONFIRMED: The Trillion-Dollar Lawsuit That Could End Financial Tyranny" and released on December 14, 2011. David had recorded another new interview with Benjamin Fulford that covered a great deal of highly sensitive information. As per usual, the two discussed a series of secret historical details including gold stored in Taiwan, gold lent to the United States, the so-called "book of codes", and much, much more. Then, the following day, a whole series of dramatic events unfolded that resulted in David going public with death threats he had received for writing his news article and Benjamin Fulford gone missing for a day and a half. Also see the second part of David's series, "The Trillion-Dollar Lawsuit That Could End Financial Tyranny, Part II: History Lesson". Also listen to the Project Camelot Whistleblower Radio interview from December 15, 2011 in our David Wilcock Radio section. To listen to this interview or download an .mp3 file go to the DivineCosmos archives. Excellent and game changing information from David and Benjamin! – September 14, 2011 | Time - 58:37 mins. David recorded yet another exclusive and sensational interview with Benjamin Fulford on September 14, 2011. This interview was released two days later as an .mp3 file along with a full course news article entitled, "Disclosure Imminent? Two Underground NWO Bases Destroyed" on September 16, 2011. Benjamin Fulford offered a great deal of information regarding the all out war waging behind the scenes for the control and the ultimate emancipation of human race from the global elite who have ruled for thousands of years. This interview focused on two recent earthquakes that occurred on August 23, 2011 within hours of one another in the areas surrounding Washington, DC and Trinadad, Colorado. Fulford insisted that these were no normal earthquakes but actually high tech weaponry that was employed by white hats in the Pentagon/US Military to destroy underground bases in those areas. David added that he believed benevolent ET races were assisting the white hats in this battle against the New World Order cabal. All in all, this was an excellent update on current events around the world. Listen to this interview in the DivineCosmos archives. – May 11, 2011 | Time - Part 1: 1 hr. 10:39 mins., Part 2: 1 hr. 1:24 mins. Posted along with a DivineCosmos blog entitled, "Official Disclosure: Two New CD-Length MP3s!" on May 14, 2011, were these two downloadable audio files from a podcast featuring an interview with Benjamin Fulford. Part 1 features David Wilcock dialoguing on a wide range of topics from around the world up to speed as of May 14th. He touches on the China, the NBC series, "The Event", and many other fascinating topics. To listen to or download an .mp3 file go to DivineCosmos Podcast Part 1 - 5.11.11. Part 2 features an interview with Benjamin Fulford that was recorded in January that David decided not to release until May. Excellent and highly informative from two great researchers. – January 23, 2010 | Time: 1 hr. 22 mins. To kick of the new year, David Wilcock released an exclusive interview with investigator and former Fortune magazine Asian correspondent, Benjamin Fulford. During this nearly hour and a half interview, the two discussed a lot of timely and hot button issues in the world today. As major world events unfolding behind the scenes so rapidly, some of the news that was covered became obsolete by the time the interview was released, such as the devastating Haiti earthquake. Nonetheless, there was a lot of world historical information that was discussed that is quite shocking such as the relationship between the Queen of England and Adolph Hitler, and much, much more. Fascinating stuff! For more current information, check out Benjamin Fulford's blog postings, that are updated several times per week. To listen or download this .mp3 interview, go to the DivineCosmos archives. Excellent interview and highly recommended! – October 10, 2009 | Time: 1 hr. 11:57 mins. As promised, David Wilcock released an audioblog update on October 10, 2009, shortly after his sensational appearance on the Coast to Coast AM radio show from October 6th. On this audioblog, David provided additional details on the incredible news he unveiled on the Coast to Coast program which included a prediction of an impending economic collapse, perhaps before the end of the year. He further commented extensively on the possibility that the US government will reveal the existence of their relationships with several extra-terrestrial races on a special world-wide television event. "There is no doubt whatsoever in my mind, that extra-terrestrials do exist, that they have visited this planet, that they have crashed their ships here, that we have indeed reverse engineered the technology, and that, in fact, many of the technologies that we are taking for granted in our daily life are a direct result of this extra-terrestrial endowment that we have received," he declared. As on the Coast to Coast interview, he detailed that he had received information from three different sources of government insiders on a formal UFO disclosure. "There is going to be a formal government disclosure of the reality of the UFO phenomenon. This will be happening before the end of the year, that the television time has already been booked on major networks, not only in this country, but around the world, that it will be a two hour special. You will actually be introduced to several different people each of whom are a representative of different human lineages on different planets," he said. "This is a war in which (President) Obama is a part of the faction that wants to see this stuff get out there into the open," he proclaimed. David also addressed much of the criticism and condemnation he has received since making these announcements over the last few weeks. He also revealed that the title for his forthcoming book will be "2012 Enigma: Blueprints for a Golden Age," which will be released by Dutton Books, a division of Penguin Books, sometime in 2010. And he is planning on releasing a supplemental video, "2012 Enigma: Blueprints for a Golden Age", to help promote the book entitled, "2012 Event Horizon," sometime in the first half of 2010. During much of the first half of this audioblog, David spent some time covering The Law of One philosophical material as it relates to current events and conditions on planet Earth. More information on this audioblog can be found in "Imminent Future Changes: Hear David on Coast and a New Audioblog!" To listen to this special audioblog, go the DivineCosmos.com archives. Also see our news story, "David Wilcock Sees Unprecedented Positive Events Unfolding Over the Next Six Months", as well as the Awake & Aware in LA Panel Discussion, and the Camelot Whistleblower Radio show for September 17, 2009. Excellent – further confirmation of shocking and sensational news. – April 15, 2009 | Time: 2 hrs. 20 mins. "Wanderer Awakening" is the incredibly ambitious musical and spoken word project that David Wilcock and Larry Seyer created together, as a follow-up to their great "Science of Peace" work (found below). This time, it was a far grander and focused concept album the duo produced, that unfolds like a rich Broadway show through the voice of one actor. Altogether, "Wanderer Awakening" encompasses an astounding four CD's/LP's, as it clocks in at over 2 1/2 hours of music and philosophy. David's lead vocals are surprisingly accomplished and beautifully harmonious for a first time singer, while the musicianship and the song writing throughout the project are absolutely superb. Our full and complete review can be found in our News section. "You Owe Me a Favor"
"Do You Really, Really Love Me?" 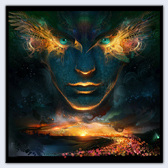 As he has often done with the majority of products found on his web site, David offers a variety of formats to purchase "Wanderer Awakening," all of which are available on his online store at www.divinecosmos.com. This folder contains the four parts of "Wanderer Awakening". PLUS it contains 25 instrumental Music pieces written specifically for "Wanderer Awakening" not available in the core audio program. Product is zipped into six easily downloadable sections. This product contains over 3 HOURS of MP3 audio material. This folder contains the four parts of "Wanderer Awakening". Product is zipped into four easily downloadable sections. This product contains over 2 HOURS of MP3 audio material. This does NOT include the Music Only MP3 files. Excellent and very accomplished debut album in every imaginable way! Highly, highly recommended!! – Part 1 | November 30, 2008 | Time: 1 hr. 7:48 mins. On this audio blog, released on November 30th, David Wilcock announces that it will be part of an on-going series of instructional audio recordings to interpret dreams and connect with the higher self. He offers a step by step method on analyzing dreams and training oneself to remember their dreams. He also comments briefly on current events such as the on-going economic crisis, the Indian terrorist action in Mumbai and the selection of the President-Elect Barack Obama cabinet. "This is clearly a very singular point in time in world history in which the future is not known," he stated. "I've had a few dreams that we will be moving into a more unified coalition of nations. And I do not see this as a negative thing," he added. David comments on his recent speaking engagements at both the Secrets Conference 2008 in Scottsdale, Arizona and his recent lecture cruise on the Mexican Riviera. He reveals that he has had a huge positive experiences at both events that has created a great shift within him and a flowering of the heart. More information on this audio blog can be found here. Listen to an .mp3 recording of "Connecting with Your Higher Self – Part 1"
Good discussion on dreams, the higher self and much more. – Part 2 | October 29, 2008 | Time: 1 hr. 9:27 mins. As promised, David delivered the second part of his ongoing series, "2012 Politics" audio blog, accompanied by another lengthy article on October 29, 2008. And what a message he brought on this occasion! "There is definitely (going to be) an (2012) event," David assured as he cited information from insiders such as "Henry Deacon" and Dan Burisch. He also talked at length about Barack Obama's impending victory in the US Presidential elections, the "wanderers" who are on the planet at this time in which he estimates there may be as many as 100 million enlighten souls, and more info on the planet's ascension. "They have lost the edge. You are watching them fall apart right now. This is what's happening. Let go of the sense that these guys are so big and bad and powerful and so menacing. You (and they) are at the end of the road. I have had so many dreams showing me this thing is ending. What you are going to see happen will be blowing your mind! You are going to see more and more stuff come out in the open that's going to be a great truth-telling. It is an extremely positive shift that we are having on the planet," he revealed. This is all fabulous news and well worth your time to listen to, to say the least. More on this audio recording can be found in David's article "2012 Politics Radio Show: Part 2 of 2!." Excellent, inspiring and hopeful information! Absolutely essential! Our highest recommendation! UPDATE: David has posted up a lengthy follow-up article entitled, "An Epic Synchronicity in World History!" regarding the election of Barack Obama that is worth investigation, as well. – Part 1 | October 20, 2008 | Time: 1 hr. 8:08 mins. David Wilcock has been very diligent, over the last six weeks, in composing a series of articles he has entitled "2012 Politics." To this point, beginning on September 10, 2008, they have appeared strictly as a series of four separate posts to his web site. However, on this occasion, David decided to create an audio recording accompanied by yet another lengthy article that appeared on October 23, 2008. On this audio recording entitled, "2012 Politics Radio Show: Part 1 of 2!," that was completed about two weeks prior to the US Presidential election, David comments on current events, including the election. He clearly foresees a rousing defeat for the Neo-Cons, and a decisive victory for Democratic candidate Barack Obama. He also comments on the efforts that he has put into making his feature film, "Convergence," 2012, stargates, worm holes, and the consciousness shift underway throughout our entire solar system. He also offers a variety of interesting study and learning tips for students in both college and high school . Much more information on this audio recording can be found in the companion article by the same name, 2012 Politics Radio Show: Part 1 of 2!. To listen or download this audio recording click here. Good dissertation on current events, particularly the Presidential election. UPDATE: On October 24, 2008, David added yet another related article to this series of current events entitled, "Is October 26th the Bottom of the Markets?" – Part 1 | August 15, 2008 | Time: 1 hr. 5:00 mins. – Part 2 | August 29, 2008 | Time: 1 hr. 8:40 mins. David Wilcock sat down with his musical collaborator, Larry Seyer, in his recording studio in Austin, TX, as they were creating their new project, "Wanderer Awakening." Their recording session will ultimately become David’s first full-length vocal music album, and a sequel to "The Science of Peace," which was his first collaboration with Larry Seyer. In a very casual format, the two discuss a wide range of topics including, "A Course In Miracles," the turbulent US economy, the coming elections, the alternative news web site, www.trbnews.org and the conflict between Georgia and Russia; which David reveals was fought essentially over oil. Larry also introduces a new music web service he has discovered, www.pandora.com, which is offering free and unlimited streaming music. At the end of this program, David announces there will be a second part to this audio blog, which will be released within a week. More information on this "There Is Only One of Us" audio blog can be found here. Good update on current events. As promised, David released a second part to "There Is Only One of Us," approximately a week hence, although both audio blogs were actually recorded earlier in the month. This second half continued on with the conversation with Larry Seyer, and further detailed the philosophy of the Law of Oneness and both series of books, "A Course In Miracles" and "The Law of One." Listening to this conversation on the philosophy of life was very reminiscent of the ancient Hawaiian healing system known as Ho'oponopono. Once more, David concludes on a very high note, that makes this second part of the audio blog very rewarding. Another very good philosophical discussion. – August 2, 2008 | Time: 1 hr. 21:55 mins. David posted this free audio blog to his web site on Saturday, August 2, 2008, partly in response to an astonishing interview by former NASA astronaut, Edgar Mitchell on a UK radio show. On that interview with Kerrang Radio on July 23, 2008, Edgar Mitchell revealed that ET's and UFOs are real, including the infamous "1947 UFO Roswell incident," and our government has been covering those truths up for over 60 years. David discusses this interview and then offers a lot of insight into the 57 various ET races that may have be on Earth at this time. You can find more information and download this audio blog here. – January 19, 2008 | Time: 1 hr. 18 mins. This is another of David's free "audio blog" recordings entitled, "2012: The Bright Side," in which he attempts to address a number of emails questions he received regarding the future of the planet. Posted on the home page of his web site on January 19, 2008, this recording also sought to counter a lot of the negative speculation to be found on the internet regarding 2012. A good portion of this audio contains hard science information but towards the end, David summarizes his thoughts on the whole 2012 phenomenon as seen from a positive or a "bright" perspective. He also addresses concerns about the apocalyptic scenarios of Planet X and other doom and gloom predictions with an air of optimism and hope. More information on this audio program can be found here. David Wilcock has stated many times that he believes his"The Science of Peace" series is the "champagne" choice of all the audio material he has to offer on his web site. This three-part audio program is over three hours of material and requires a great of amount of examination and study due to the sheer volume of information contained within it. Therefore, it is advised to listen through this series several times in order to get the full impact of it. However, David does offer an excellent summarization of everything that he covers on the third and final CD. 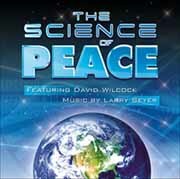 There are several options to purchase "The Science of Peace" depending on whether you want to also include David and musical partner, Larry Seyer's original music or not. Prices range from $59.99 for the entire package with all the additional music, to $39.99 for the core audio lectures to as low as $17.99 for music only. You will find this item in the divinecosmos online store. Excellent audio series, worth repeated listening. 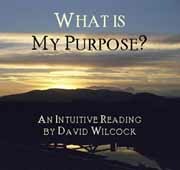 This is another audio recording in which David seeks to address one of the major questions he has often been asked during his private sessions, as well as, in numerous emails, "what is my purpose for being on this planet at this time?" He gives an insightful and measured reading that you will find to be uplifting and inspiring. There are three parts to this audio recording: an intro, music and the full reading which all come as downloadable .mp3 files. You will find this item available in the divinecosmos online store.